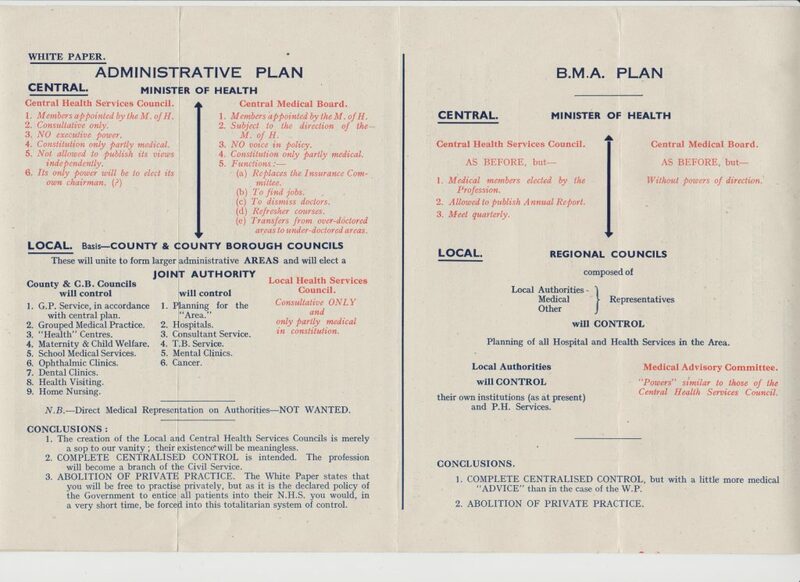 When plans for the NHS were being proposed, some physicians believed that the plans were a direct threat to their livelihood. This document, issued by a group of doctors including physicians, outlines the key points of both the Governments White paper and the British Medical Associations plans. Neither seems to have impressed this particular set of doctors. How many consultants and specialists are required per million of the population?